This new recording by Gävle Symphony Orchestra with conductor Jaime Martín is a tribute to the work of Johannes Brahms (1833–1897). The art of Brahms has inspired countless of artists and composers since the 19th century up to our times. Arnold Schoenberg was one of the composers who greatly admired Brahms’ work. Schoenberg was particularly fond of Brahms’ 1st Piano Quartet (Op. 25) and when Otto Klemperer suggested him to orchestrate it in 1937, Schoenberg took the task without hesitation. 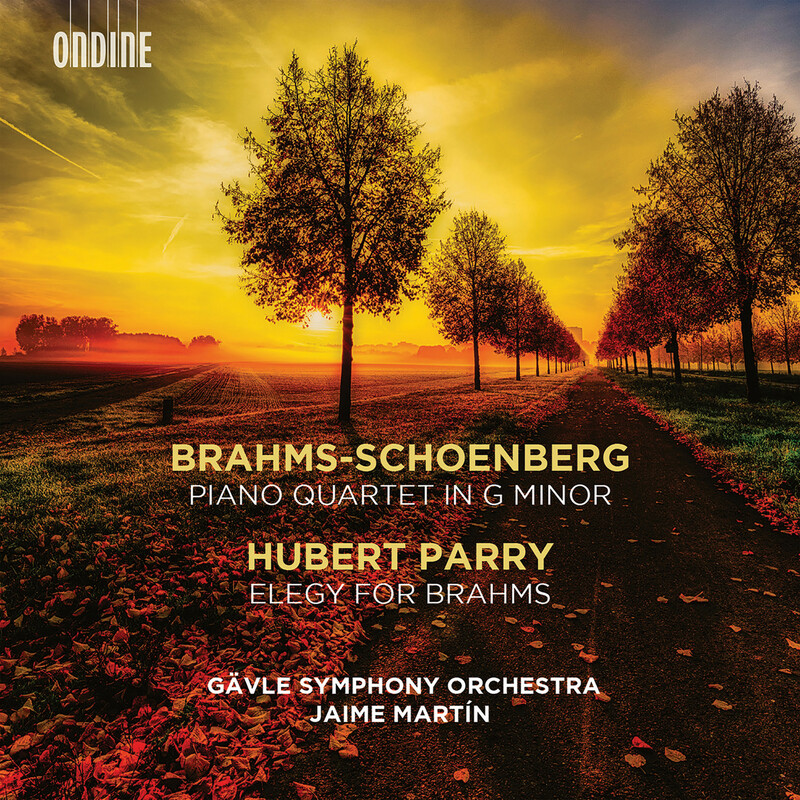 Schoenberg regarded his reworking of the Piano Quartet – often dubbed as ‘Brahms’ Fifth’ – as an act of homage to Brahms, and he believed he had finally succeeded in addressing the composer’s concerns about the original score. No wonder that Schoenberg’s masterful arrangement has remained in the concert programs of symphony orchestras. 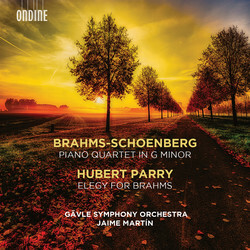 English composer Sir Hubert Parry (1848-1918) wrote his orchestral work, Elegy for Johannes Brahms, in 1897 in memory of his recently deceased musical idol. This short symphonic movement, which makes some overt references to Brahms’s music, was never performed in the composer’s lifetime, and only received its premiere after Parry’s own death in 1918. After that, it languished unplayed until it was again resurrected in 1977. After decades of neglect, this recording is a manifestation of the recent growing interest in Parry’s music. Gävle Symphony Orchestra, founded in Sweden in 1912, has a long and exciting history. Since 2013, the orchestra has enjoyed a fruitful musical partnership with principal conductor Jaime Martín, but the orchestra has also collaborated regularly with renowned international conductors. This is the orchestra’s fourth album to be released by Ondine. Jaime Martín became the Artistic Director and Principal Conductor of Gävle Symphony Orchestra in 2013. During recent years orchestral engagements have led the rising conductor to collaborate with several prominent orchestras around the world. Martín is also Chief Conductor of the Orquestra de Cadaqués and known for his active career as solo flautist. 01 Piano Quartet No. 1 in G Minor, Op. 25 (Orch. A. 02 Piano Quartet No. 1 in G Minor, Op. 25 (Orch. A.
Schoenberg): II. Intermezzo. Allegro ma non troppo - Trio. 03 Piano Quartet No. 1 in G Minor, Op. 25 (Orch. A. 04 Piano Quartet No. 1 in G Minor, Op. 25 (Orch. A.